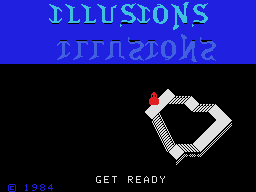 Illusions is a surreal ColecoVision video game in which the player maneuvers blobs around the screen, trying to get them to merge, or, alternatively, split apart. 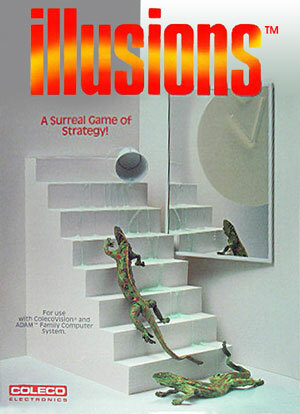 At times, lizards may chase the blobs around. The water bucket, when spilled, can cause the lizard to turn into a fish. If the fish remains there too long, however, it turns into a bird. 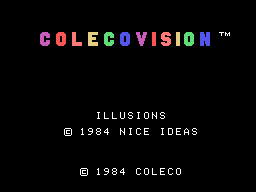 The game was created by Nice Ideas, a division of Mattel that was located midway between Cannes and Nice.